[Johannesburg, 26 January 2018]: Situated on a cattle farm just outside Memel in the Free State, House Memel is a retirement dream brought to life with timber frame construction. With difficult building terrain underpinned by heavy clay conditions, a timber structure was as much a practical choice as it was an aesthetic one. 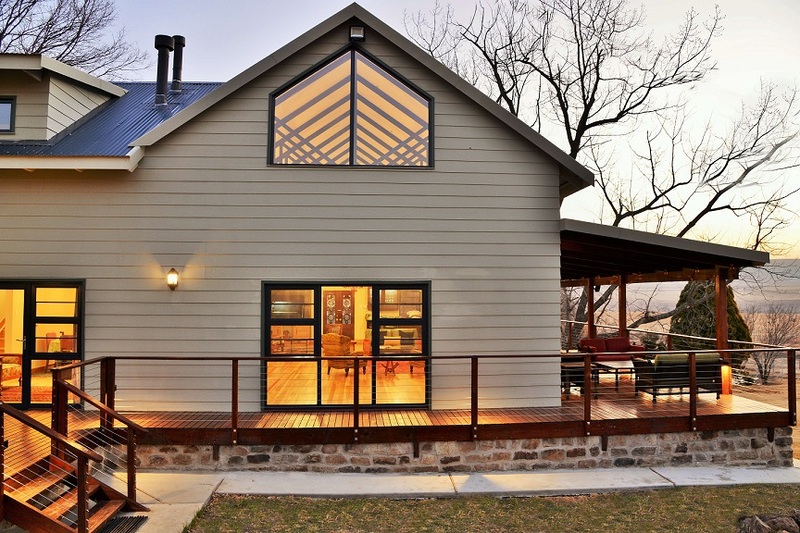 Having bought the land a number of years prior, the client sought to have a structure built on the farm that was dedicated to both leisure time in the country and entertaining friends and family. This vision of function strongly informed the design brief, which came to pivot on a large double-volume cathedral-type space at the centre. 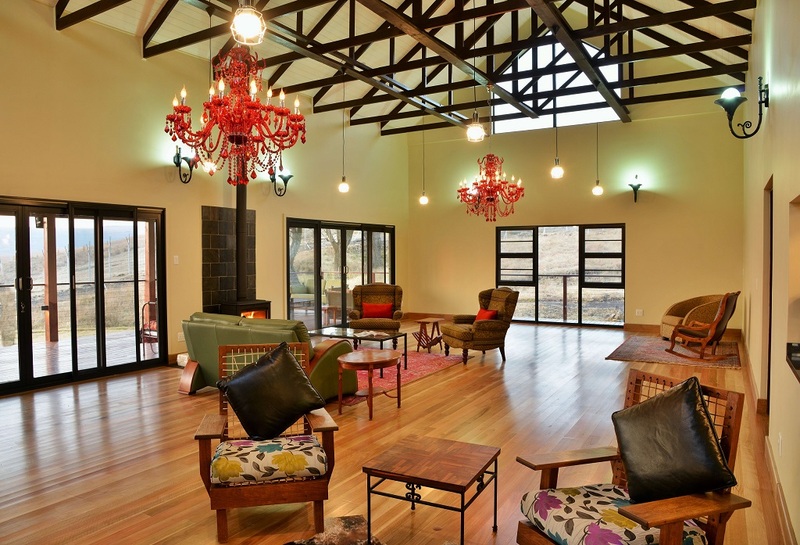 “The design of House Memel took shape from the inside out with the entertainment area a central aspect of the design motivation and as a result, its physical form,” says Werner Slabbert Jnr, Managing Director of Eco Log Homes, who were contracted to the build. “The result is a spacious Vermont plank house with a large central hall from which bathrooms, open-plan kitchen, a bedroom, dining room, indoor and outdoor braai and entertainment areas, extend. 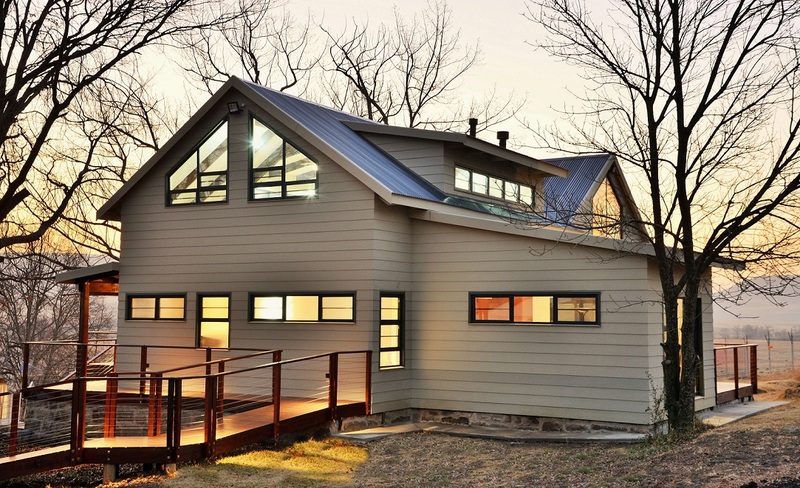 A special highlight for us is the magnificent loft area which adds tremendous value to a structure that boldly reflects, both aesthetically and structurally, the values of Eco Log Homes,” he adds. 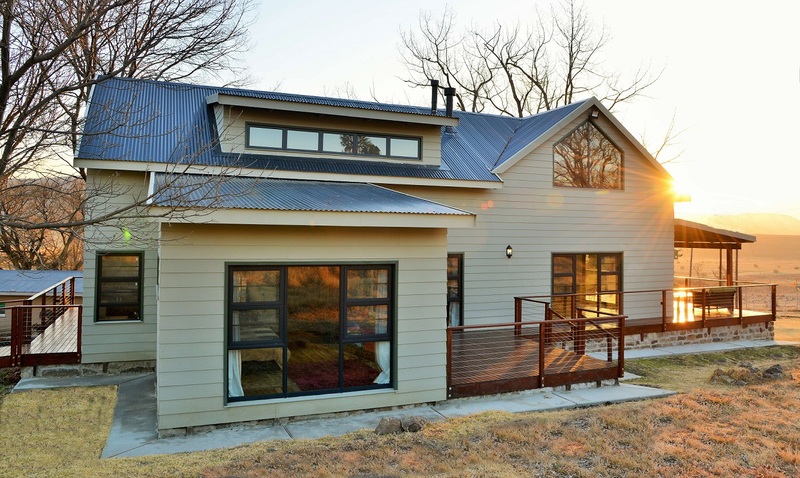 Timber frame building was the construction method of choice for the client, given the extreme clay conditions of the soil, which had already seen the existing brick and mortar farm house cracked to pieces. “Timber as a building material is so flexible and adaptable, which makes it especially well suited to building on unforgiving terrain such as this,” remarks Slabbert. “This building methodology is also the most efficient way to build a house with exceptionally robust insulating properties to withstand the elements and create a comfortable interior environment for its occupants. These two requirements presented by the project alone made timber construction the most suitable building option for House Memel,” he says. CCA-treated (to H3) 38 mm x 114 mm S5 strength-graded structural South African Pine timber was used to build the walls and floors of the house in line with the National Building Regulations’ South African National Standard (SANS) 10082, which covers correct timber frame building in South Africa. Wall cavities were packed with 102 mm cavity batt insulation, with internal walls finished with 15 mm fire-stop gypsum board prior to plastering. Exterior walls are finished with a waterproof membrane and 11 mm thick oriented strand board, adding to both the insulating value of the walls as well as the structural bracing and integrity of the house. Woodgrain textured fibre cement planks complete the exterior cladding. The space under the house was built up with sandstone blocks which were repurposed from an old ruin from elsewhere on the farm. The space is now cleverly used as a basement area to house air-conditioners, gas geyser and other utilities. The floor of the house suspended above the basement is packed with high-density polystyrene to help insulate from the bottom as well. The roof structure, most of which is exposed throughout the house, was manufactured and installed by an Institute for Timber Construction South Africa (ITC-SA) accredited fabricator and erector and the roof is insulated with a combination of glasswool and IsoBoard insulation. House Memel was built according to both SANS 10400 XA ‘Energy Usage in Buildings’ and SANS 204, which covers the energy efficiency in buildings. The project carries a built-in water purification system, gas stoves and gas heaters, and only borehole water is used. 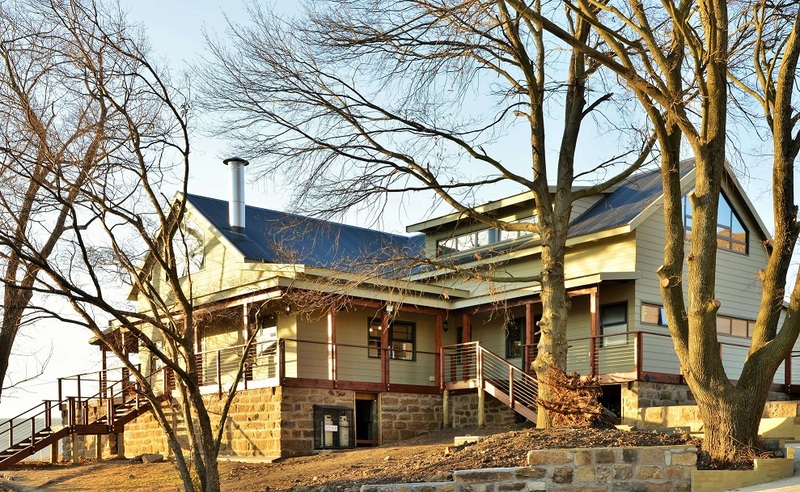 “House Memel represents a thoughtful response to a client brief for a timber frame home, with leisure and entertainment at heart, and with difficult soil conditions for construction,” says Slabbert. “Timber was the ideal construction material with which to bring House Memel to life, due to both soil and weather conditions in the area. Thanks to its strength and insulating properties, the occupants will be able to enjoy a comfortable, well-insulated structure that is built to last; well-considered design and high-quality finishes layer brawn with beauty for a sturdy, yet luxurious structure that will comfortably weather both the elements and shifts in design trends for years to come,” Slabbert concludes. Special thanks to Eco Log Homes’ Site Supervisor, Robert Chabangu, whose enthusiasm in motivating his team was second to none. Much of the success of this project is attributed to him.